The abandonment of the concept of a medium in space is perhaps the greates mistake of physicists in this century. With no medium physics was without a rational theory of propagation in space. It is necessary not only for the propagation mechanism of waves in space, but also for the dynamical mechaism that acts on bodies in space. 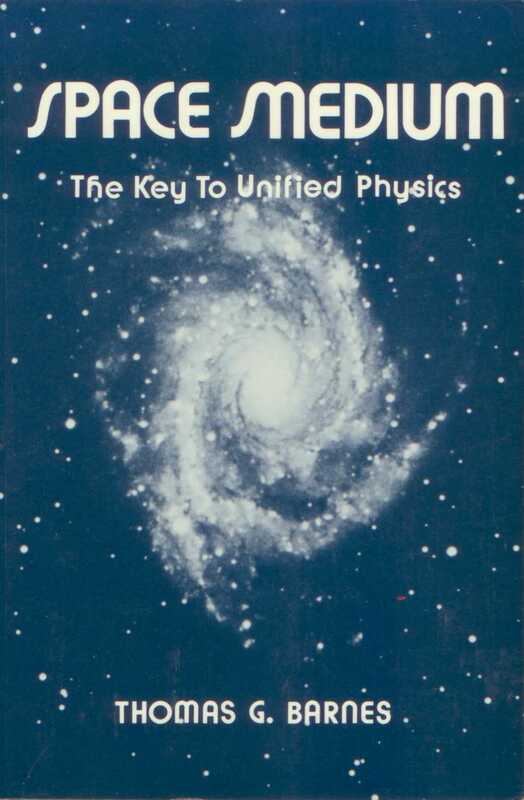 This book contains a new theory of the medium in space. It is a reactive and propagative medium. The theory is a logical deduction from the physics of Michael Faraday and James Clerk Maxwell. The reactive property of the medium provides a rational explanation of Newton;s third law. For every action force the medium provides the reaction force. The mechanism fro propagating electromagnetic waves in the space medium is a straightforward application of Faraday's lines of force. Radiation of energy into the medium is explained in terms of the medium. Gravitational waves in space are expressed in terms of complementary electromagnetic waves and are propagated with the speed of light. This book exposes serious problems with Einstein's theories of relativity and with certain areas of quantum theory. 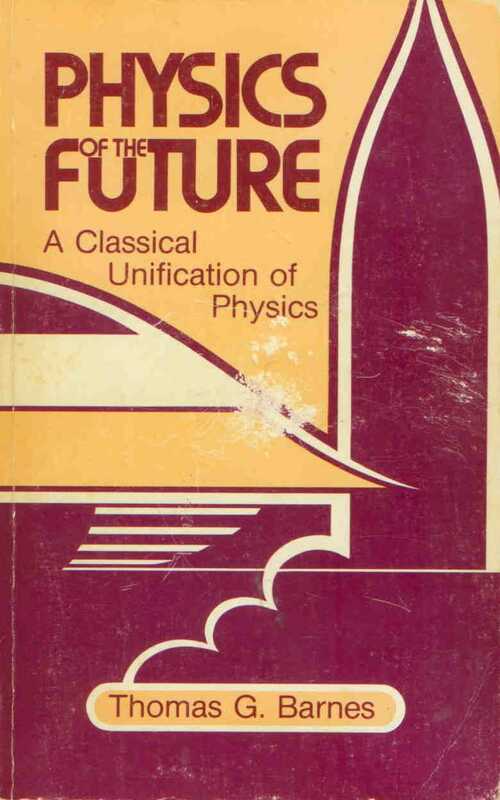 It rejects the basic postulates of relativity and quantum theory and attempts to develop a foundation for modern physics employing an expansion of the concepts of classical physics. It is not just a matter of substituting one type of treatment for another. It now appears that the classical approach, when it is completely developed, may simplify modern physics. For example, it may be possible to unify all forces in physics into only two fundamental forces, namely the electric and magnetic forces. That contrasts with the present physics classification of five fundamental forces: gravitational force, weak force and strong force (associated with the atom and nucleus), and electric and magnetic forces. An extension of the classical approach shows promise of reducing each of these extra three forces (the gravitational force, the weak force, and the strong force) to electric and magnetic forces. In the extension of classical physics, as an alternative to relativity, a new feedback process is postulated. This provides new physical phenomena that restore the concepts of absolute time and Euclidian geomentry. New interpretationas of experiments are advanced to support that position. From there one is able to show the possibility of speeds exceeding the speed of light in certain types of rotational motion. The most remarkable worldwide geophysical property in the last century is the rapid decay of the earth's magnetic field. As a consequence of this decay the earth is losing the magnetic shield that has provided protection from harmful radiation. The author supplies an answer to the question: When will the magnetic field vanish? The source of the earth's magnetic field has been a problem to evolutionary scientists because the best data, the real-time dat (130 years of data) do not fit their traditional geochronology. the author shows that these data do support the theory first proposed by Sir Horace Lamb. That theory is up-dated and the real-time data employed to evaluate the half-life of the earth's magnetic field. Extrapolated values of the earth's magnetic field at dates in the past are then compared with stellar magnetic fields to arrive at a plausible limitation on the age of the earth's magnetic field. An elementary discussion of the pertinent physical principles is included. Further use is made of the up-dated theory to provide new insights into the properties of the core of the earth. An evaluation is made of the electrical conductivity of the earth's core. This conductivity is compared with that of certain metals at high temperatures for clues to the type of material in the earth's core. 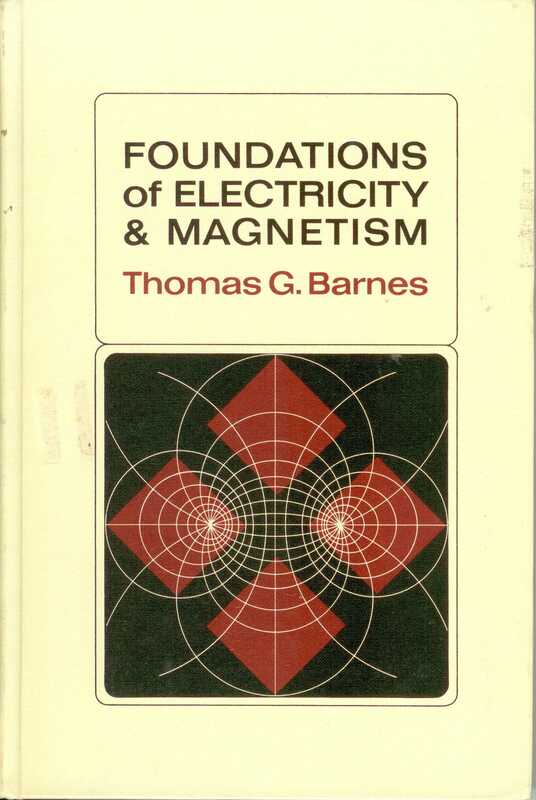 A computation is made of the value of the electric current presently flowing in the core and the resultant rate of heating which it produces in the earth. 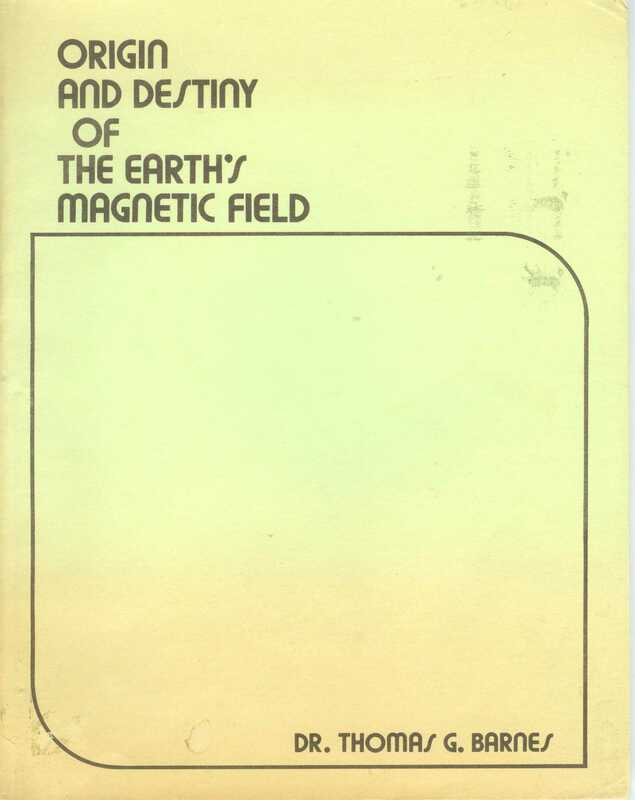 The most profound consequence of this theory of the source of the earth's magnetic field and the observed data is that it demands a recent origin. There is no uniformitarian means by which the phenomenally large current required to produce the earth's magnetic field could have been started in recent geologic time. The conclusion is reached that the earth's magnetic field is the result of the Biblical creation.